At Sunrise Irrigation & Sprinklers, we know lawns. Our highly qualified professionals have been beautifying residential and commercial landscapes in the Tampa Bay area for more than 20 years. As an established, family-owned irrigation management business, we believe that keeping Florida homes and businesses looking their best begins with a healthy lawn. The Sunrise Irrigation & Sprinklers team is made up of fully licensed and insured specialists. We’re RainBird trained, certified for landscape irrigation auditing, and active members of both the Irrigation Association and the Florida Irrigation Society. We’ve spent the last two decades building a reputation across our local community for exceptional lawn and irrigation services. We are known for our innovative techniques, and advanced systems that are designed to conserve both water and money by running at full efficiency for many years. 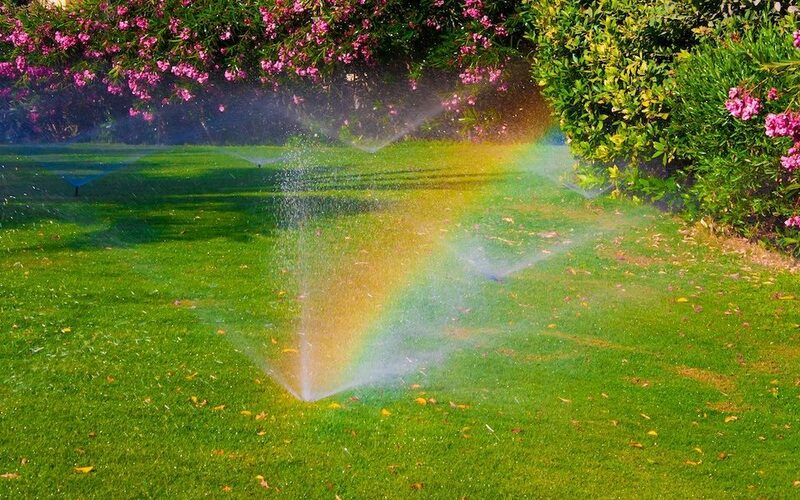 Whether you are a homeowner or have a commercial business, we invite you to turn to Sunrise Irrigation for all your sprinkler system and irrigation needs. We’ve helped individuals and businesses all over the area to transform their landscapes through our unparalleled installation, repair, and maintenance services for sprinklers, well pumps, reclaimed water systems, and more. Give us a call to discuss how we can help your lawn become lusher, greener, and healthier. We prioritize customer satisfaction over everything else, believing strongly that taking care of clients should be the most important goal of any business. We hope you are never anything less than 100 percent satisfied with our work, but if you are—let us know. We’ll do everything in our power to make it right. and keeping our customers informed so they can make educated decisions and keep their properties looking spectacular. Before calling a job finished, we teach our customers everything they need to know about their newly installed or repaired water systems. That means helping them understand zoning and watering requirements, as well as providing guidance on how to operate the system to its full potential. We work with equipment and materials rated above industry standards, providing leading products at a highly competitive price. We keep a close watch on innovations in our industry to make sure you’re getting the latest and the greatest in sprinkler products and water-saving technology.